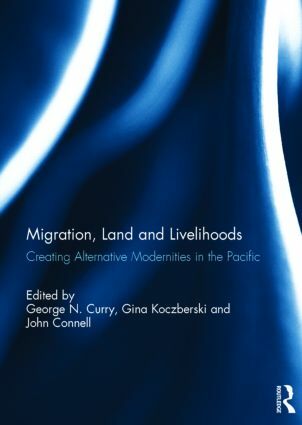 This book critically and succinctly examines recent changes in land ownership, mobility and livelihoods in various Pacific island states, from East Timor to the Solomon Islands, where climate change, environmental change (including hazards of various origins), population growth and urbanization have contributed to new tensions and discords and resulted in complex structures of migration and resettlement. This has brought new and varied experiences of income and livelihood generation, and consequent reinterpretations of ‘modernity’ and ‘tradition’. In a series of detailed case studies this book traces various responses to such socio-economic changes both in how they are locally envisaged, as pressures on land have intensified, urban informal settlements and livelihoods have expanded and perceptions of identity and property rights have changed, and in national development policy responses. It offers valuable reflections on the complex balance between continuity and change, the tensions between social and economic development, the will to develop and the management of dissent and difference. This book was published as a special issue of Australian Geographer. George Curry is Professor of Geography in the Faculty of the Built Environment at Curtin University, Perth. Gina Koczberski is a Senior Research Fellow in the Faculty of the Built Environment at Curtin University, Perth. John Connell is Professor of Geography in the School of Geosciences, University of Sydney.